Giving your student a strong math foundation is one of the most critical tasks you will face as a homeschooling parent. Finding the right curriculum to help you is one of the most difficult parts of the job. Well, you've come to the right place! 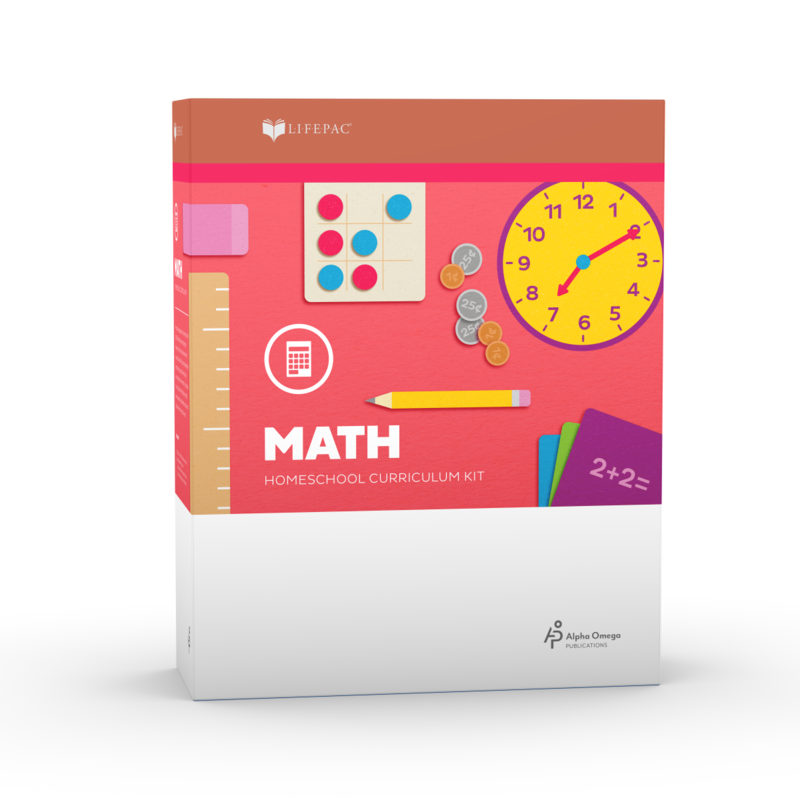 The LIFEPAC 2nd Grade Math Set from Alpha Omega Publications was designed with you in mind! LIFEPAC Math courses use mastery-based learning along with spiraling review to promote student success. In this homeschool math program, students concentrate on mastery of a single skill, and then move on to learn new skills. This method builds a strong foundation in basic math skills which paves the way for ever-increasing levels of proficiency! In ten full-color, engaging worktexts, The LIFEPAC 2nd Grade Math Set presents instruction in the following skill areas: numbers to 999, operation symbols, place value, fact families, addition with carrying to 100s place, subtraction with borrowing, ordinal numbers, directions, converting coins, fractions, area and volume, graphs, and more. What are some of the additional features of this popular Alpha Omega curriculum? Student worktexts include daily math instruction and review as well as ample opportunity for assessment of proficiency. In order to encourage individualized instruction, we have included a teacher's guide designed to help you guide your student's learning according to his specific interests and needs. The teacher's guide includes detailed teaching notes, a complete answer key and lots of ideas for additional activities designed to reinforce important math concepts. What could be better? Order the LIFEPAC 2nd Grade Math Set for your child today!